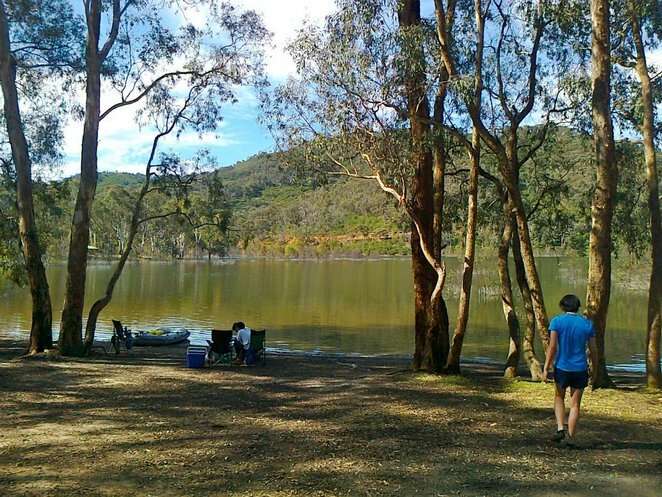 In my humble opinion, Lake Eildon National Park provides camping spots that make it to my top three list of campgrounds near Melbourne. The first I've revealed in this earlier post. 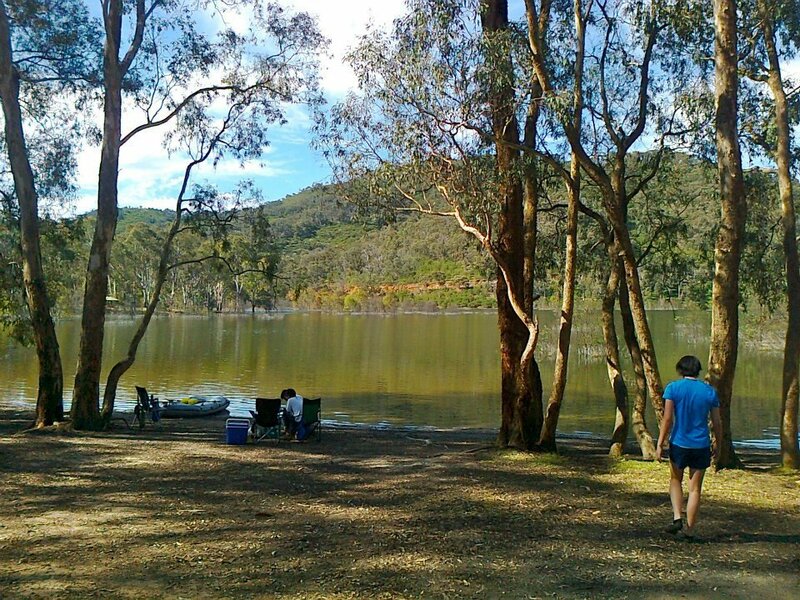 Go here for the official park note for Lake Eildon. 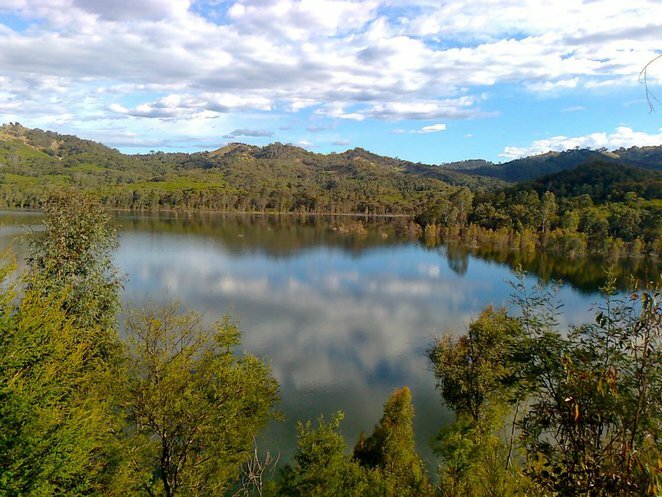 A 111 kilometre drive north east of Melbourne, Lake Eildon is located near the Alpine region and is about 28 000 hectares in size. It has about 600 kilometres of shoreline. When its dam is full, Lake Eildon swells to two times the size of Port Phillip Bay. How's that for perspective? Expect some winding terrain along the mountainous region (top elevation of about 900 metre), and expect to go through a few kilometres of gravel roads to get access to most of the camp grounds. 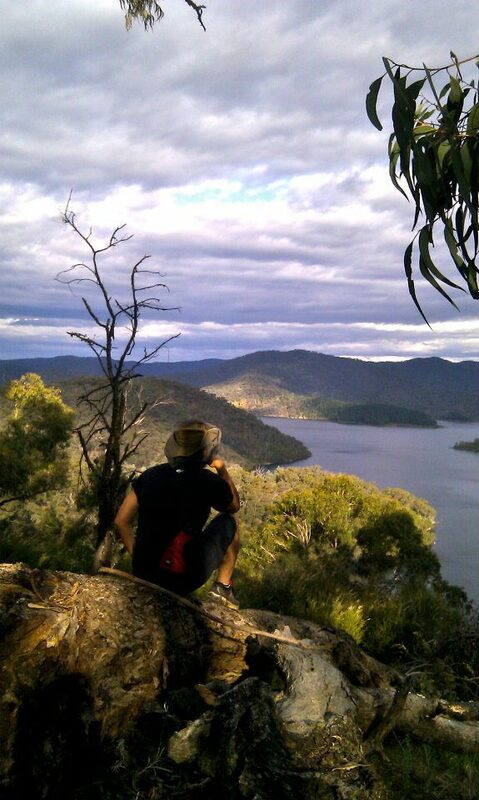 One might not be able to tell at first sight but Lake Eildon is an amazing expanse of man-made waterways. Yes, man-made. I can only imagine the fun the folks had back in the day when they blasted the terrain away to form the giant reservoir of water. Its capacity is 3 334 158 megalitres (ML). As of Jan 2015 it's about 76% full at 2 538 805 megalitres in store. Many intricate waterways were created - dig up its history to find out about the crazy bunch who blasted the hilly range into submission. Some of the waterways are wide enough for house boats and jet skis to roam at wild abandon while others just nice for kayaks to to squeeze through. There are a variety of means to get waterborne here. 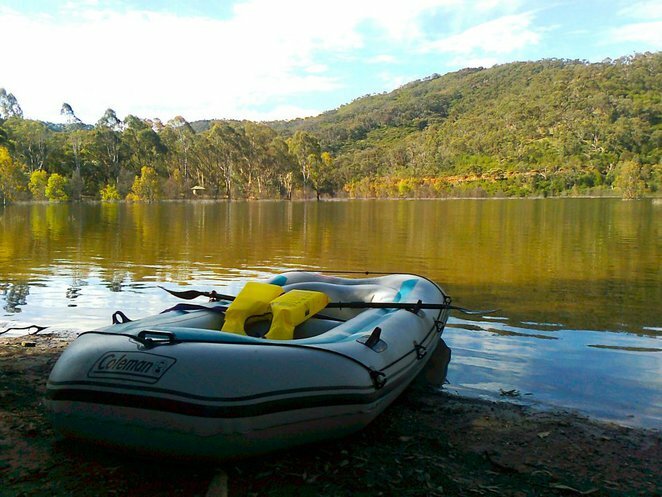 First time I was here all I could afford was a Coleman inflatable dinghy that set me back $70. It did a great job despite its small plastic oars. It carried my camping gear, an 30 litre esky, two camping chairs, myself and one more adult comfortably. Never tried allowing a pooch onboard for fear the inflatable would not take favourably to excited claw action. The problem with finding a good camp site is none of the maps nor the Google satellite photos reveal which ones sit nicely with a view of the waterline. Here's where you'll be glad you came here to read this. 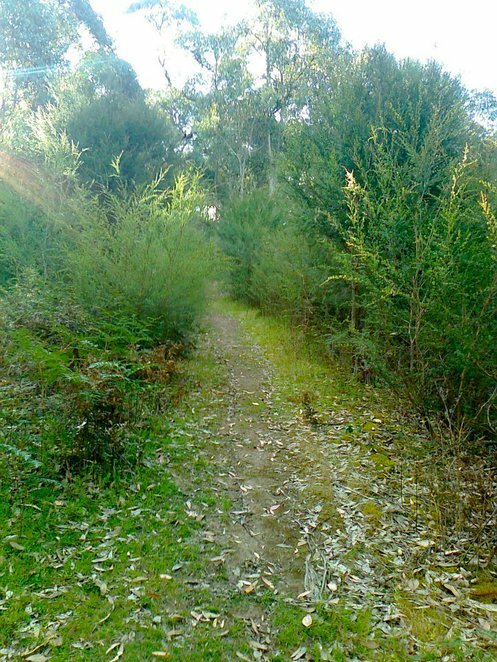 I'll tell you which - go for Candlebark Lot 147 or 150 at the Fraser Camping Area. Not right by the waterline but close enough. Camping here is great as there is a wide selection of environments to choose from. This ranges from really remote ones accessible only by boat, to lakeside views and those tucked away in lush forest. Added bonus - fire pits a comfortable few metres away at many of them. ** Do note that camping fees apply. I must say they are getting really pricey. Check them out here. The 'quad burning' 2km ascent to Blowhard summit up Merlot Track. 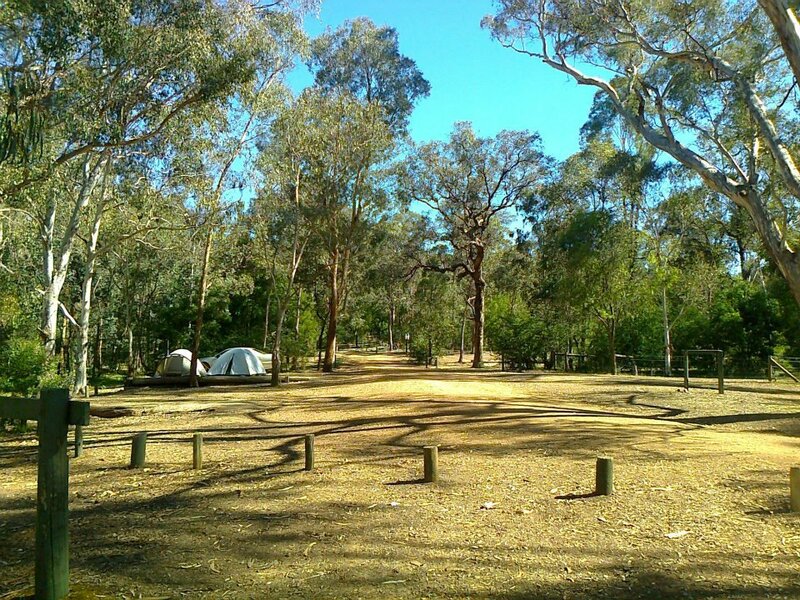 For free, walk-in, boat-based, camping, check out Taylor's Creek Camping Area. 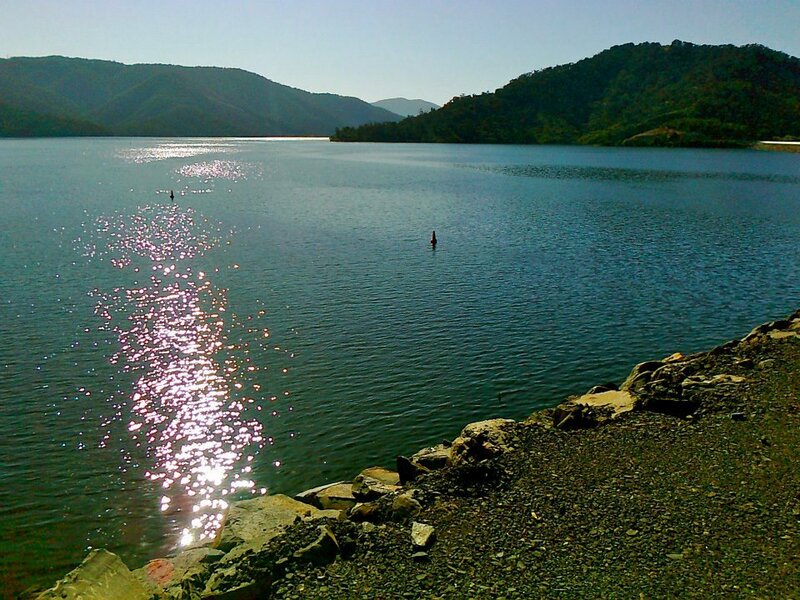 ## Jerusalem Creek is one camp ground at Lake Eildon where dogs are permitted if get on leash. Again, it pays to find the right camp ground to get lakeside views, if that matters to you.